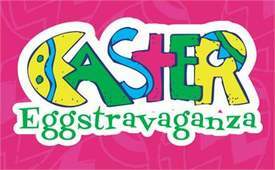 Come join the fun at Harrison Park for the annual Easter Egg-stravaganza. The event will take place from noon until 2:00 p.m. There will be eggs galore, a cake walk, candy giveaways, and much more. Needed is candy for the giveaway bags plus prepackaged cupcakes, brownies, cookies, etc. or prizes such as books for the Cake Walk. Volunteers are also need so please put your name on the sign-up sheets in the church Narthex.